Life has been crazy!! I have taken the summer off from all design team obligations to focus on projects just for me... and that means less posting, sorry about that. I have been snapping pics and have a whole bunch to load so hopefully, we can get you inspired again. This card was made for a special guy's first Father's Day. 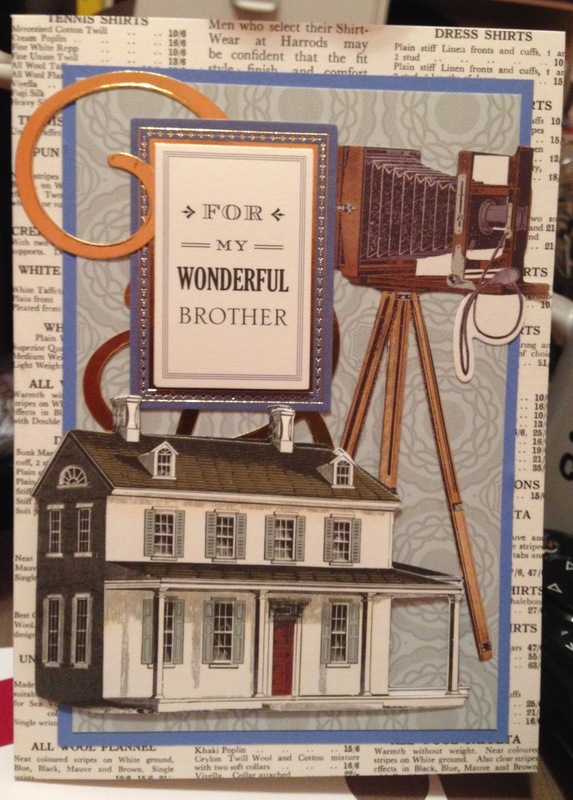 I made this card using the amazing layering pieces from Anna Griffin. I just love LOVE her card kits ... see why! !